The REV HVAC brand and division was created to answer replacement market needs. Its mission is to provide unique and revolutionary solutions for common air distribution problems in existing buildings. The PLAY Diffuser from EffectiV HVAC, which addresses the pressing need of resolving air draft problems in offices and commercial spaces, was in very high demand to replace standard air diffusers in existing buildings. We redesigned it to optimize cost and simplicity, making it ideal for the replacement market. The REV HVAC division has also been launched to better serve the replacement market through a wholesale distribution network. Simply put: REV HVAC products can be purchased locally from stock, and you can easily swap out an old standard diffuser with a REV Diffuser. You can now solve air draft related comfort problems more quickly and easily, at a much lower cost. Our goal is to have REV HVAC products readily available in every American city and to have a significant positive impact on comfort and energy efficiency in offices and commercial buildings across the country. 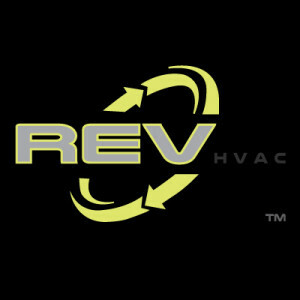 REV HVAC is a division of EffectiV HVAC Inc. EffectiV HVAC is a high performance brand of HVAC diffusers, specializing in advanced engineered designs for new construction and the re-design market. EffectiV HVAC products significantly improve comfort, energy efficiency and architectural appeal in commercial buildings. EffectiV HVAC products are distributed only by the best manufacturer agents, boasting a quality team of highly skilled, educated, experienced and knowledgeable sales engineers to serve mechanical engineers, architects and HVAC contractors. If you are looking for more advanced solutions and certified performance for a new building or a complete redesign, we recommend using EffectiV HVAC products.